The Micronesian Club held hands and took a bow after their months of preparation and hard work proved successful. 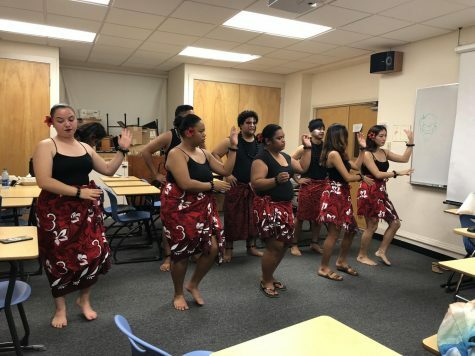 Chaminade University of Honolulu’s 2018 Pacific Island Review Friday was more than just an evening of cultural food, music and dance. A normally large celebration showcasing performances from various CUH pacific islander clubs took on a more intimate atmosphere as the evening was dedicated in respect for those affected by Super Typhoon Yutu, the strongest typhoon to barrel through the Marianas in more than half a century, according to National Weather Service. In the early hours of Oct. 25, 2018, the category 5 super typhoon devastated islands, Saipan (50,000 residents) and Tinian (3,000 residents), with 178 mph winds that flattened neighborhoods, damaged homes and businesses, and caused massive water and power outages. The entertainment opened with a special prayer and moment of silence led by Saipan native Savannah Delos Santos, 21, a CUH senior majoring in Business Marketing. 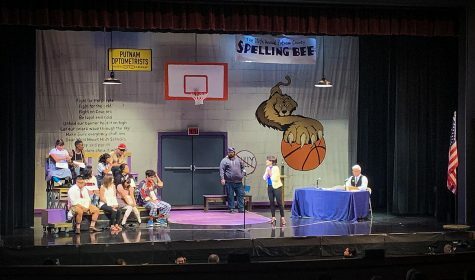 “It completely desecrated the homes of many Chaminade students, some of which are here right now, their families and their friends,” Delos Santos said to the crowd. Performing second out of three clubs, the Micronesian Club made sure to give a strong performance despite having a small number of only 10 performers, many of them still feeling tense regarding their families back home who were affected by Yutu. CUH freshman and performer with the Micronesian Club, Miki Takayama, said she felt heartbroken by the news of the damage Yutu has caused back home in Saipan (the largest of the Northern Mariana Islands in the Federated States of Micronesia). Performers from the Micronesian Club continued to rehearse behind the scenes before going on stage. The club’s performance included four dance numbers to happy-go-lucky tracks, which resembled a mixture of reggae, rock and pop. 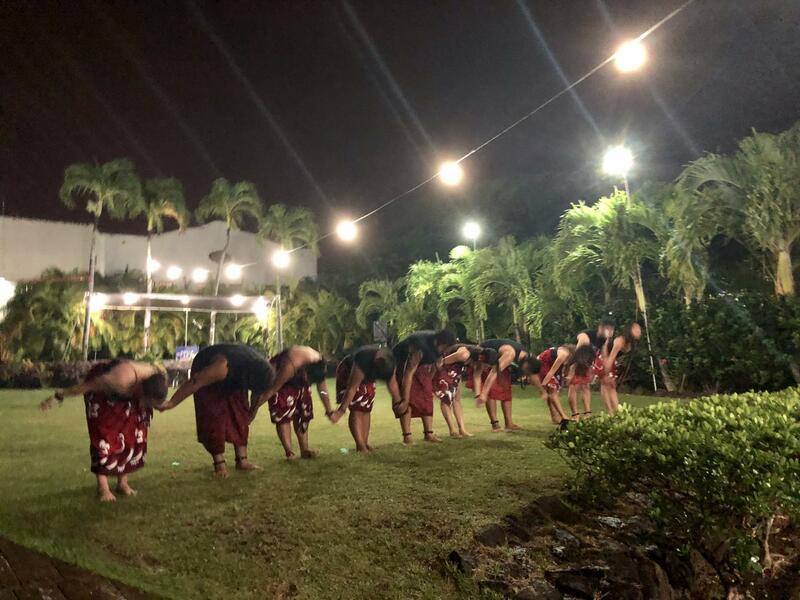 The highlight of the club’s performance featured an energetic all-male routine, which showcased a traditional Micronesian stick dance consisting of synchronized banging of bamboo sticks. Serving as president of the Micronesian Club is Conrad Timothy, a sophomore majoring in Communications from Kosrae (a 42-square-mile island in the Federated States of Micronesia with a population size of approximately 6,000 people). The 19-year-old proved fit for the leadership role as he organized and sometimes even counseled club members in the aftermath of Yutu. A campaign has been created by the Marianas Young Professionals (MYPros), a non-profit organization dedicated to serving the Commonwealth of the Northern Mariana Islands (CNMI). One hundred percent of net contributions will be allocated for immediate and long-term recovery of Typhoon Yutu, according to Executive Director Gerard van Gils. Click here to donate to the Super Typhoon Yutu Relief Campaign.